November is officially the start of the automotive shopping season. All over the country, car dealerships of all sizes will be looking for ways to edge out the competition, reach the right consumer and get people to visit their lots. Discounts, new inventory, creative financing options, money for old vehicles and other promotions will be run with the hope of capturing the attention of a potential customer. Cost-effective: When compared to television, radio, newspaper ads and other forms of advertising, email marketing is by far the most cost-effective way to get traffic to your site and people to your business. The results are broken down into three areas; impressions opens and clicks. Impressions cover the number of people who receive the email and see who it is from and what it is regarding. This number is usually very close to 100% of your targeted list with opens and clicks meaning more awareness of your content. That impression rate is something else that other services cannot duplicate. Provable tracking: How do you really know how many people watch your television commercial? You can’t and that’s one of the issues dealerships have with more traditional methods of advertising. They want to track results so that they can prove ROI. Email marketing for automotive sales provides in-depth tracking, not only on the side of the company deploying the campaign but on the dealership’s site as well. This is a great way to test out different campaigns, audiences and learn what works and what needs to be improved. Direct contact: Unlike other forms of advertising, email marketing is actually sending the content directly to the consumer. Wherever someone reads their emails; phone, tablet or computer, they will find your content and have a chance to engage. While other forms of promoting cars for sale are beneficial, they also rely on waiting for the audience to view a certain page, go to a platform or turn on a specific channel at a certain time. Message the consumer directly and see better results. High-quality tracking: Tracking options that are available with this feature are second-to-none. There are over 300 selects available to create your ideal audience to promote your cars for sale. These include a person’s age, location, personal interests, income, type of vehicle they drive, gender and more. Works great with other services: You should never put all your eggs in one basket, especially with marketing. Email works great when combined with other services like social media, display advertising, and other methods as it allows you to reach a consumer on several platforms at the same time. Theoretically, a dealership can create an audience and send their content to those consumers via email, display, and social media at a low cost. Quick return: Launching a campaign via email marketing isn’t just cost-effective, it’s also very fast. Ideally, at least two weeks would be needed to select the audience, develop the creative and launch the campaign. In some cases, the campaign can be sent out faster, but two weeks is usually a fair amount of time to plan for. Great for branding: One of the main reasons you should incorporate electronic mail into your monthly advertising campaign is because it is a powerful branding tool Again, the consumer is going to see who the message is from, what it is regarding and more before they even open it. This is a great way to introduce your brand and frequently remind the recipient of who you are which will eventually influence their decision when they are ready to purchase or lease a new vehicle. Trying to find a way to introduce your business and let people know that you have cars for sale is very straightforward. There are dozens of options that are available but the best one in the group is going to be email marketing. 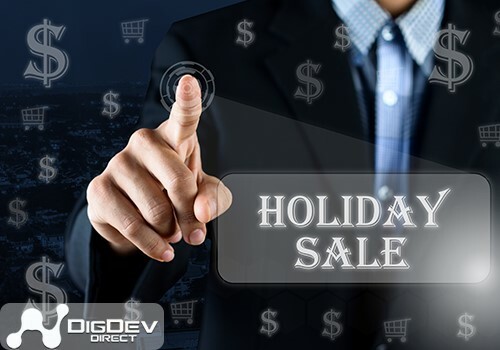 It’s cost-effective, allows you to have better targeting and tracking, can quickly alert a consumer about a sale you are running and gives you a chance to directly message someone. 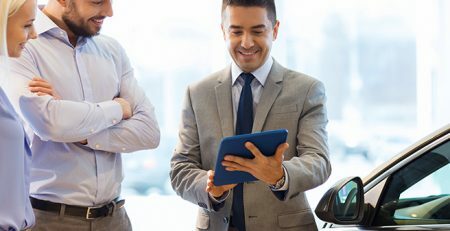 The secret to increasing automotive sales it to have familiarity with the consumer. This means sending content to the recipient at least once a month. Even if they don’t respond, they see your brand, see what you offer and develop trust with your business. Once they are ready to lease or buy a new car, you will be at the top of the list of places they consider visiting to start looking for vehicles. That’s why every dealership, regardless of size, needs to utilize email in its marketing.